First of all, let me start out by saying that I have shifted away from pure mountain biking to more adventure riding. 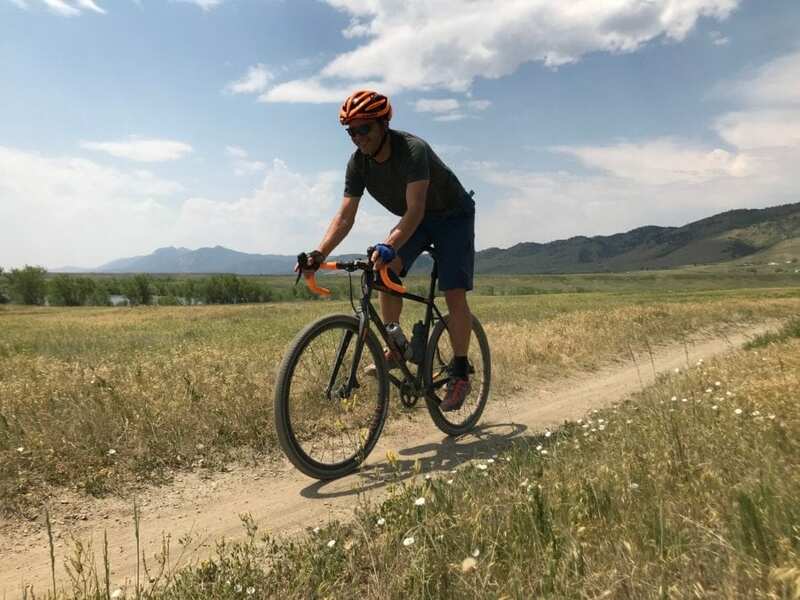 Aging, family commitments, and looking for different thrills have me redirecting my passion, yet still be on a bike in the mountains. I am hitting every surface you can imagine, and getting to see places that many never do. Plus, I can do it on a bike that is quite comfortable and can handle single track, gravel, logging, and even 4 x 4 Jeep high mountain passes. That said, this Showers Pass Kit is a perfect fit for my adventures as I explore the Great Rocky Mountain State of Colorado. There are a lot of initial take-away’s that are very appealing; smooth silk-like shorts, merino wool, breathable vents, simple colors and design. I ride the road as well, so the tight fitting lycra does play a role in my cycling adventures. However, I can easily cross over to the more relaxed mountain culture and sport a flannel when needed. Keeping an open mind and not classifing myself into one type of rider is something I am proud off, and this Showers Pass kit will be a very welcome addition. The temperatures in the mountains can be chill in the mornings, and can also change rather quickly. 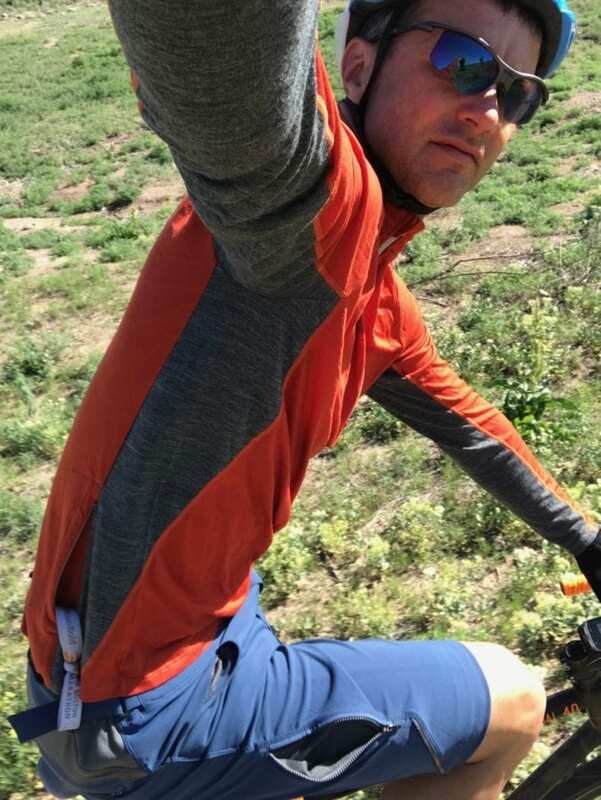 Hence, having the option of a short sleeve with the Men’s Apex Merino Tech T-shirt and the Men’s Ridgeline Half-Zip Long Sleeve Shirt is handy for a quick change when needed. I’ll simply break down my experiences for each piece to give you my insight as to what works and what doesn’t. The box is super cool. 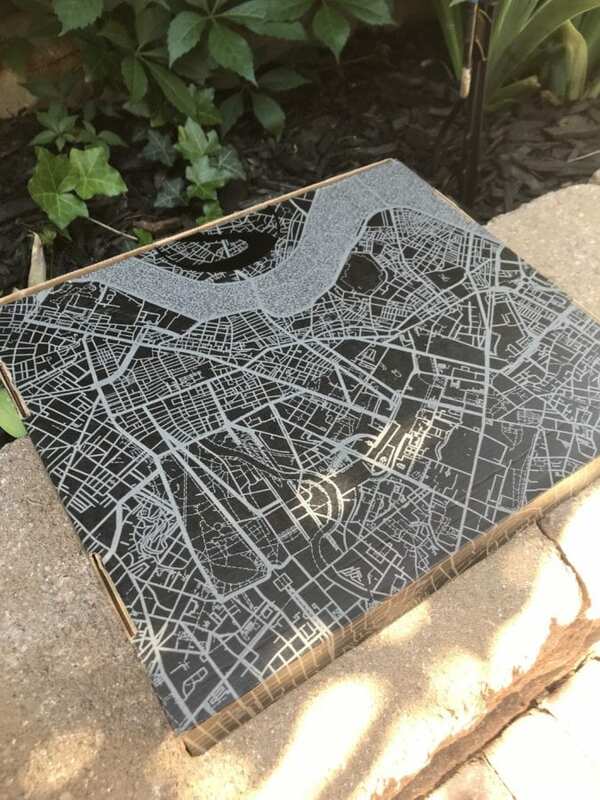 I’ve been trying to figure out what city this is. Portland? Merino wool has been around now for quite a while. I always picture puffy New Zealand sheep grazing in a valley creating the perfect wool fiber. Obviously, Merino wool provides lots of technical advancements that go into making this shirt, and I took full advantage. I wore my Ridgeline Half-Zip up Mt. Antero for the early morning portion. The sun and effort made for a sweat drenched day, but I will say that the shirt with its moisture wicking merino features worked like a dream. I incurred a bit of sweat build up where my pack was in contact, but that only lasted for short periods of time. At every break I would take my pack off for food or water replenishment, and the shirt dried in no time at all. The sun and airflow took care of that real quick. At 2-3 miles above sea level, the sun can do some serious damage, so keeping the sunscreen lathered on is crucial. The Showers Pass Ridgeline features UPF 40 sun protection which saved me big time. I only had to put the sun screen on my face, and did not have any sun issues anywhere else. Some of my riding buddies weren’t so lucky. 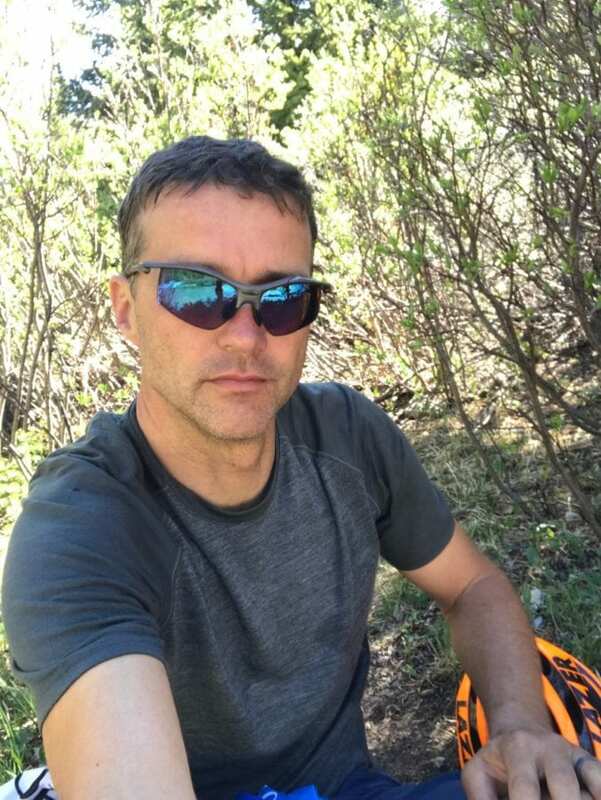 I stuck the long sleeved shirt in my pack, because you never know what kind of weather one can encounter above tree line in the form of voracious winds or rain/hail/snow. Proclaimed as “Probably the best fitting Mountain Bike shorts the world has ever seen.” I will have to concur to a point as they do fit quite well. The legs have the correct length, and have not created any pinching or bunching. Over the years, I have ridden myself into a comfortable race weight, and am down to a 32 or 31 waist size. My Showers Pass IMBA Shorts 32’s, do have are a little bit of wriggle room around the waist. There are cinch straps on both sides that act as your belt, and aid in getting you to the correct size. When you work, you need to hydrate. Mountain fresh (filtered) water. I do want to be clear that these shorts do not have a chamois or a separate liner with critical private part support. This did give me pause for a second, but I have a few chamois liners/tights to provide the necessary padding. I decided to test them solo first to see how long I could comfortably go. Consequently, cruising around the neighborhood is fine, but a more serious ride does require the Chamois for comfort. 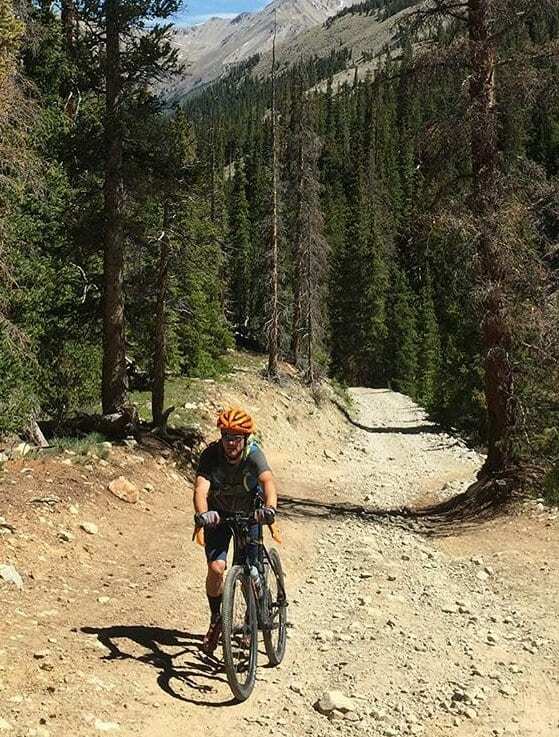 After having taken them on multiple easier rides, the true test presented itself for a high Alpine jaunt up to Mt. Antero, one of Colorado’s famous 14-ers. This was a long day in the saddle with some 7 hours of ride time and 6000’ of climbing. The Showers Pass IMBA shorts do fit really well around the legs and I never had any rubbing issues. 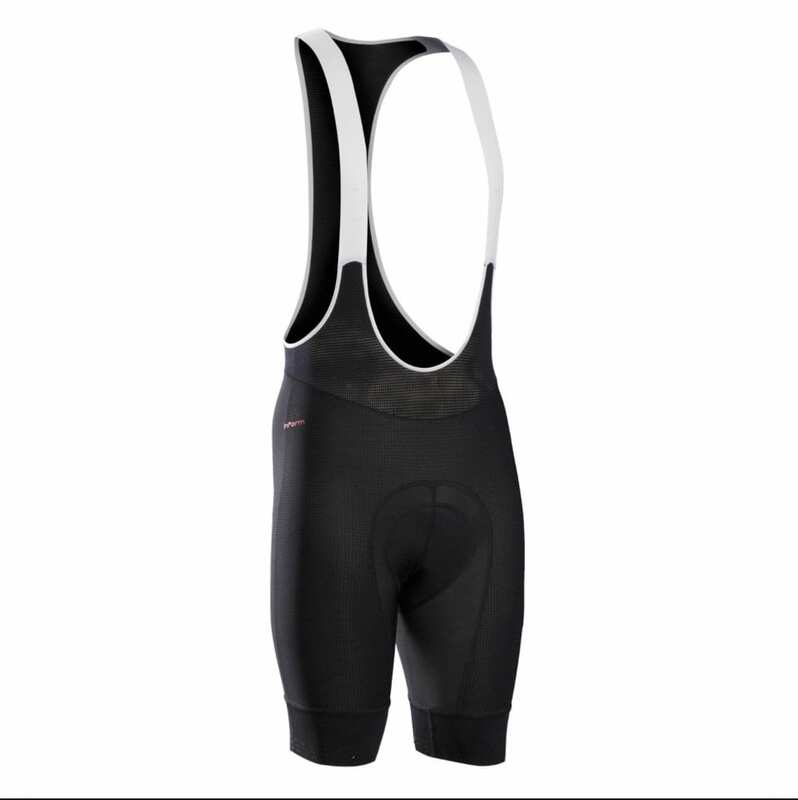 Its fabric is very breathable, lightweight, and moved well as I rode. The 4-way stretch fabric is ideal for that. Really, I can’t say enough about it. It was also a very hot day, and I opened the thigh vents to allow for some air flow and relief. If you want to see cool places, sometimes hike-a-bike plays a role. 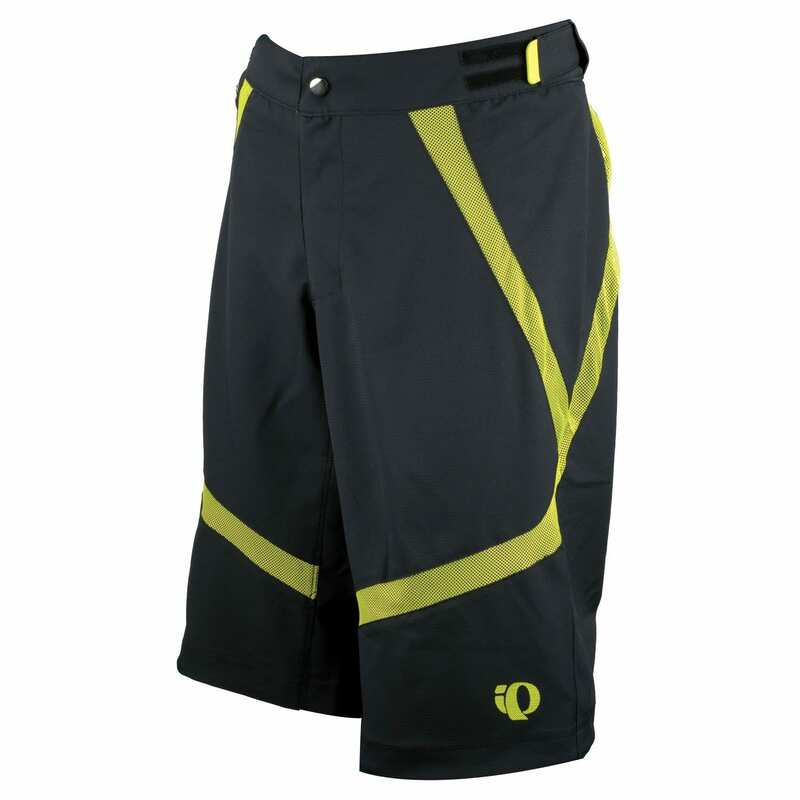 The IMBA shorts were very comfortable even in a hiking capacity. The one thing I do have to point out is what I eluded to earlier. The small Velcro cinching strap did not provide enough room to tighten them to my liking. I am 6’+ and 160-170 pounds depending on the fitness level. I don’t really know how to say it properly, but I have a rounder gluteus maximus which is good to provide plenty of power. Revealing that piece of information does have a purpose, because the Showers Pass IMBA Shorts still did a bit of sliding down over the course of our journey. I know sizing can be very personal and does vary greatly with each individual brand. The racing Italian kits are so small that I usually go for a large. I would almost say that I could have used a size 29 or 30, but that doesn’t seem quite right. The rest of the shorts fit really well, so I simply need some extra cinching around the waist. Anyway, providing more Velcro would be one solution, or adding some loops to add a belt would solve it as well. Maybe a future iteration will provide some of those options to keep guys like me riding happy. Adjustable waist cinch and stretch articulation on the hips and low back for the perfect custom fit, on or off the trail. As we are in the middle of summer, the Showers Pass Apex Merino T-shirt has seen the bulk of the wear the past few weeks. The initial reaction when I tell people that I am wearing a wool shirt in 90 degree temperatures is that they are baffled. 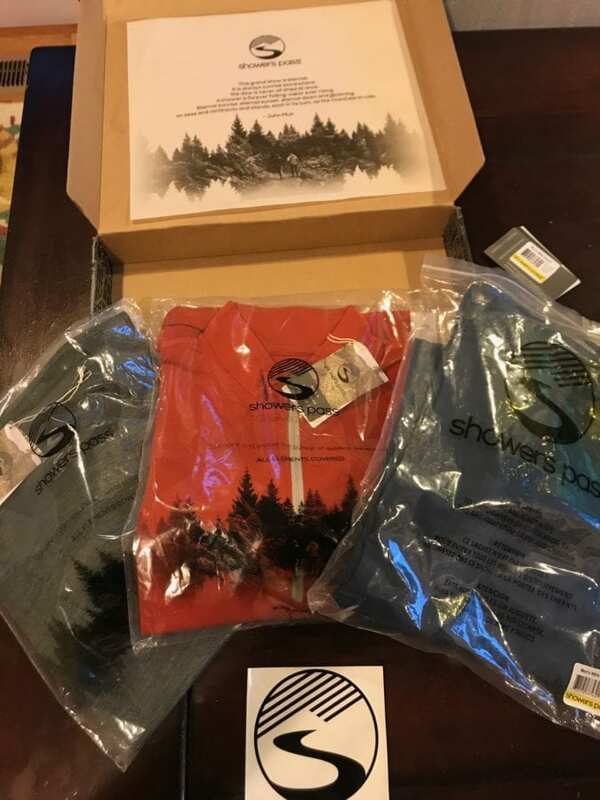 Most noteworthy, is that Showers Pass’ moisture wicking capabilities are amazing, and the shirts are so comfortable that I have also worn them around casually and while camping. I have now washed all three pieces several times, and they still as good as when they came out of the box. My good athletic gear always goes on the gentle cycle, because I really want to prolong the life of my clothing. 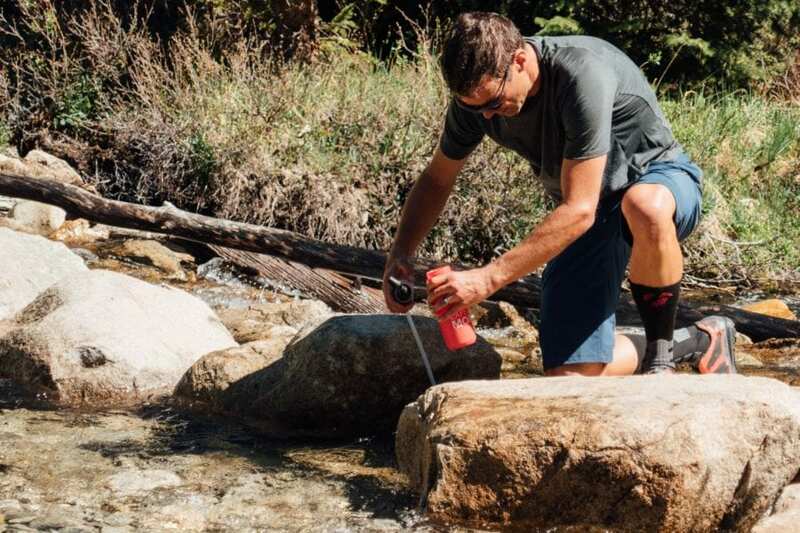 Final Thoughts on the Showers Pass Mountain Adventure Kit. I am really impressed with the quality of the clothing. It’s held up nice after having put the pieces to the task in some rough environments. The smoothness and comfortable fit of the IMBA Shorts are fantastic, and a key feature is the moisture-wicking ability of both shirts. Furthermore, Showers Pass has also added the antimicrobial protection to the side panels. Hence, I was not the one stinking up the Toyota FJ on the 2 hour drive home. Good stuff at an affordable price, but the greatest features in general is its casual style that translates into multiple uses and riding applications. Yeezy Boost 350 V2 to a Cycling Shoe? It Happened.